Officially known as the Dean's Staircase, the broad spiral gained its 'geometric' nickname thanks to its extraordinary character. Each of the 88 stone treads rising from the floor of the south-west tower to the triforium level is set into the wall and carefully shaped to rest on the one below; there is no other support. Such staircases are distinctive because, unlike earlier spiral staircases, they have no central column and seem to float in space. The first example of this method (inaccurately known as a cantilevered staircase) was probably the one created by Inigo Jones in the Queen's House, Greenwich. It introduced the use of a rebate, a grooved interlock which spreads stresses throughout the staircase. The treads of the geometric staircase are set only 150mm into the wall, then float out into the air. 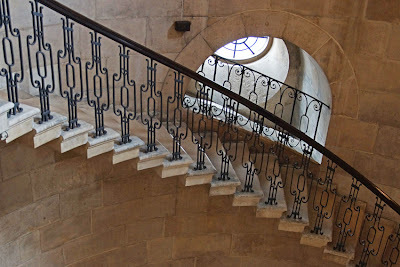 Their ingenious construction allows these elegant, almost ethereal spirals to provide a firm, secure staircase which has served already for three centuries. The railings are the work of Jean Tijou, a famous Huguenot ironworker who also created the gates at the High Altar. He had arrived in London in about 1689, probably at the invitation of Wren himself, and enjoyed royal patronage from William and Mary. Among his other works are garden screens at Hampton Court Palace; he was also commissioned to work at other stately homes of the period. The staircase is something of a film star: it has appeared in Harry Potter and the Prisoner of Azkaban, The Madness of King George and the 2009 film Sherlock Holmes. 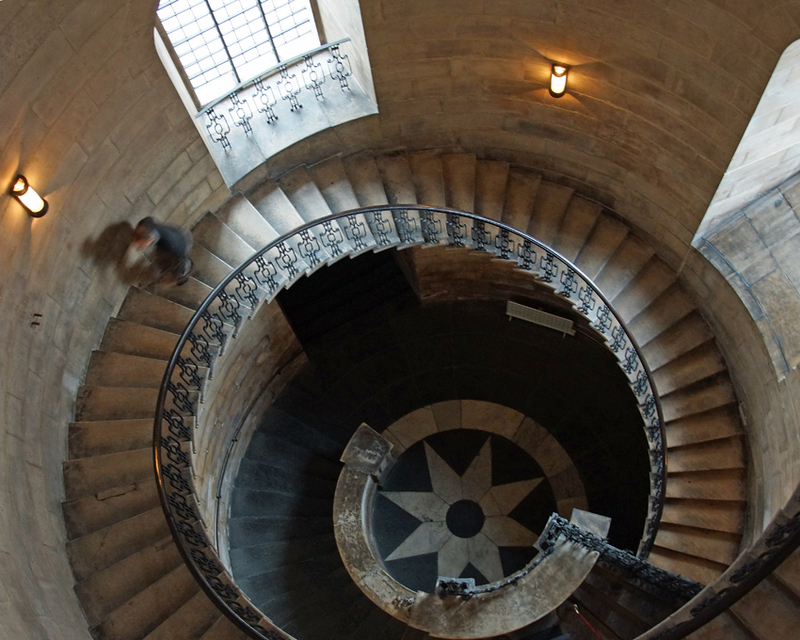 Practical info: St Paul's offers Triforium Tours, which include a glimpse of the geometric staircase. 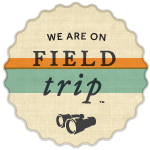 They must be booked in advance, as a group of five or more: details are here. Read more about St Pauls: the old cathedral stones and Great Model. Sorry, but I am pretty sure the geometrical pattern in the floor does not match with the one appearing in the H. P. movie. Could it be an error, or it was changed for the producction?